Making Mobile the safest city in America with respect for everyone requires the Mobile Police Department to do more than traditional policing. It requires ongoing community outreach. But, many of the outreach activities cannot be supported with public funds. 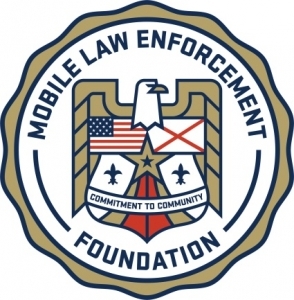 Every year since the Mobile Law Enforcement Foundation was established in 2007, it has advocated and promoted the goals of the Mobile Police Department and its members, provided education, training and wellness programs, and conducted research for the development of police officers. The foundation exists to do all things necessary to promote the general social, benevolent, and charitable works of the Mobile Police Department. Individuals and organizations are always welcome to donate to the Mobile Law Enforcement Foundation. To learn how you can make a donation, visit mobilelawenforcementfoundation.com or call 251.208.1947.